As we’ve just entered the month of November, it means Black Friday (23rd) and Cyber Monday (26th) is on the approach. It’s time to get organised with your marketing strategy to ensure you make the most out of it. It’s always a controversial event as we know what it does to small businesses. Last year we saw some nice features in the press on smaller businesses that you could shop with on Black Friday instead. We’ve rounded up our top tips on the best ways to push customers your way. Supporting small businesses is always our number one priority, and we’re definitely supporting our friends over at Just A Card, lets turn Black Friday into Indie Friday! We want to get the word out of shop local, shop independent, shop small businesses, artists, makers, brands and designers. Join the Indie Friday community and find your supportive audience. Yes, it’s Black Friday, no, it doesn’t mean you have to give all your products away at 70% off. Be selective in which products you want to offer discounts on: maybe ones you’re discontinuing, ones that aren’t selling as well. Make it clear what products are on sale and involved in the promotion to avoid confusion and customer disappointment. Don’t limit yourself to the Friday and Monday, make use of the full weekend, staggering your discounts is a good way to get attention and draw people in. Employing a three-tiered structure works especially well, whether you create bigger discounts for the more spent or you start with 50% off on Friday, 30% on the Saturday, and 20% on the Monday. Both are good ways to increase sales over the whole weekend. In the run up to Black Friday, it’s important to market yourself on all touch points, from your social media, email newsletters and websites. This might seem obvious, but it’s the most effective way to send customers your way, so don’t overlook it (See our recent post on how to up your social media game in 20 minutes here). You want people to know you’re participating and this is the quickest and most effective way to do so. Ensuring you use coherent graphics and promotional imagery throughout is important! It’ll enable your customers to have a clear visual of what you’re providing and it’ll be more memorable for them. Advertise clearly what you’re offering and what promotions you have on your website home page. So this is one time of the year in which you can drop your prices slightly more than usual, so why not slightly up your marketing game. 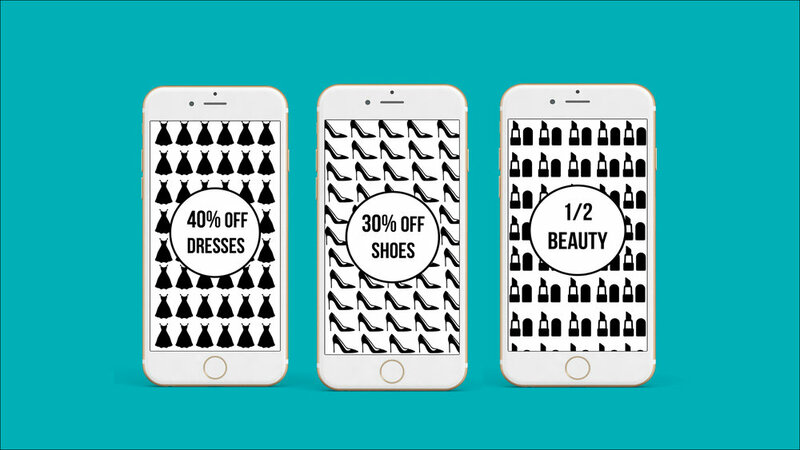 From past Black Friday’s, we’ve seen brands opt for GIF’s and moving imagery to promote their discounts as apposed to still imagery- and it works really well. GIF’s are more captivating for customers as they’re different and will stand out in an inbox against all the others. All the important information is already there in plain sight, so creating a good but informative gif is a win win for both parties. There is no reason your Black Friday advertising strategy should stop at the end of the day. Extend your efforts to include a Cyber Monday campaign to get sales growing and reach an even wider audience. Add urgency to your promotions, suggest times running out or add a countdown as this will encourage customers to act more immediately . Our Full and Lifetime members have access to all our previous Black Friday lists and tips. Do you want to be a full or lifetime member? Sign up here.